With Valve’s recent announcement of Steam OS, we feel that now could be a great time to build a budget gaming PC. The upcoming release of AMD’s mantle should also be very good news for budget PC gamers. Previously gaming PCs required more advanced and expensive hardware in order to perform significantly better than console games. This was because any software released for a PC operating system, be it Windows, Linux or OS X, needed to be developed on an API such as OpegGL or Direct3D. These API’s operated at a level far removed from the hardware, meaning that all of the layers between the API and the hardware reduced the performance available. However, AMD’s upcoming API Mantle, seeks to get the very most of to your hardware by coding at the hardware level, meaning that there is no performance lost when communicating between the API and the layers separating the API from the hardware. If you want to get a deeper understanding of this, take a look at Ryan Smith’s Article on AnandTech. The greatest benefit to the average PC gamer will be the increased performance they will get from their technology. So any games developed using the Mantle API (including the upcoming Battlefield 4) should not need as high levels of hardware to get the most out of the game. With this in mind we have put together a budget gaming PC that should get you up and running playing games at a level equivalent to the upcoming PS4 and Xbox One. The first choice you need to make when building a budget gaming PC is whether to choose an Intel or AMD CPU, and when you have chosen a CPU which type of CPU is best for you. For the purpose of this build we are sticking to a budget circa $600 and want to make sure that the system is also upgradeable. The great thing about building your own PC is that if you choose your components wisely, you can minimise the investment you will have to make in the future when upgrading your system. Due to the considerations outlined here, I want to go with an AMD FX-6300 cpu. The FX-6300 is a 6-core CPU running at 3.5 GHZ with a turbo of 4.1 GHZ, with Battlefield 4 (a supposed system killer) recommending using a 6 core AMD CPU. This CPU is based on AMD’s AM3+ architecture which also includes the 8 core fx-8350 which has been found to run neck in neck with Intel’s i5 3570k and even the i7 3770k on common AAA games. This means that if you ever feel like you need to upgrade your CPU you can do so without changing your motherboard or RAM. The FX-6300 is an unlocked CPU, which means provided your motherboard and CPU cooler are capable, you will be able to improve the performance of the CPU by overclocking it. For this build we will be sticking with the stock cooler, so we won’t be doing any overclocking, but coming in at $109.99 on Amazon at the moment, this CPU represents a value untouchable by anything on the Intel side. Having selected our CPU, we can now identify an appropriate motherboard for the CPU. If you are new to PC building, it is important to note that motherboard’s are only compatably with specific socket types. So for example, the new Intel Haswell CPU’s require a socket 1150 motherboard, Ivy Bridge, and Sandy Bridge require 1155 socket CPUs. At the moment AMD are producing CPU’s for bother AM3 and FM2 boards. FM2 CPUs are typically budget friendly CPU’s designed for lower performance PCs, HTPCs or budget gaming PC’s. Personally I would not recommend opting for an FM2 CPU and motherboard as if you want to upgrade youyr system at a later date, you would likely have to change bother your CPU and motherboard to handle the better quality CPU. While choice of motherboard is very important for high end gaming PCs, if you are not interested in overclocking your CPU, or do not need to run multiple solid state drives (SSDs), then going for a budget motherboard will not have a negative affect on the performance of your gaming PC. 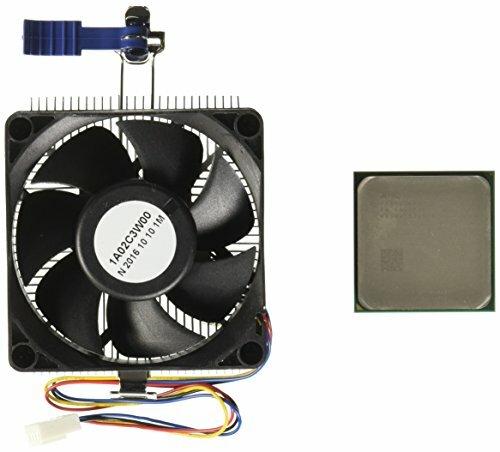 What you need to look out for on your motherboard is that it can handle at least 16 GB of ram, that it has at least one PCI E 16x slot for your graphics card (GPU), that it has at least 4 SATA ports to connect your hard drive, and allow for future upgradeability, and that it is built by a reputable manufacturer. Considering everything we have stated above, we are going for the MSI 970A-G43. The 970A-G43 has an enormous amount of features for the price including, handling up to 32GB of RAM, it has 2 rear USB3 ports, as well as headers for 2 more, it has potential for 12 USB2.0 ports, 6 SATA3 ports, and 2 PCI-Express x16 slots (1 runs at runs at X4, but can support SLI and crossfire). While this is a budget build, this board has all the features necessary to run a much more powerful system. At $66.99 on sale at the moment form Amazon, this is a steal! AWS.InvalidParameterValue: B00B9BDB14 is not a valid value for ItemId. Please change this value and retry your request. AWS.InvalidParameterValue: B00919CI5Q is not a valid value for ItemId. Please change this value and retry your request. Tests have shown that 4 GB of RAM is more than enough for a current budget gaming PC, but as this board will support 8GB of RAM in each slot, it behoves us to maximise the upgradeability of this PC. Therefore we will go for 1 8GB stick for this PC. While this will not take advantage of dual channel RAM, by going down this route it means that we will be able to keep using the 8GB stick well into the future. For this we will go with the Corsair Vengeance 8GB stick running at 1600 MHZ(The sweet spot for gaming at the moment). This will set us back $76.99. While this budget won’t allow us to get an extremely high end graphics card there are still some rules we should stick to. First I want to get a GPU running 2GB of ram, AAA games are getting increasingly memory dependent with the current recommended GPU for Battlefield being a 3GB card. However, 3GB cards are out of the range of this build, but 2 GB should suffice. Secondly I want to get a good brand, with a good cooling solution built in. Graphics cards are generally designed to be easily overclocked, with many manufacturers supplying driver to allow you to do this easily. Therefore with that in mind I want to recommend 2 cards, I want to give an Nvidia option and an AMD option. Nvidia cards are more useful for multi-media application, and some games are designed to take advantage of Nvidia technology, while AMD cards are generally faster for the price and have a larger overclocking window. 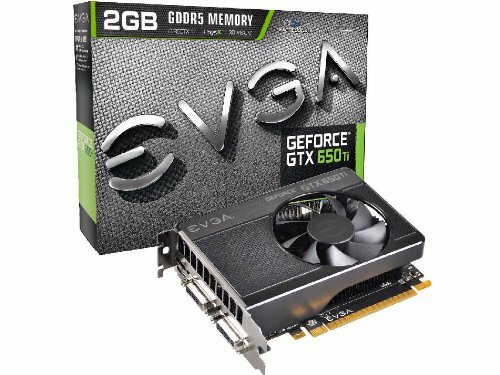 For the Nvidia option I would recommend the EVGA 650TI at $165 new (can be found for less than $140 used). 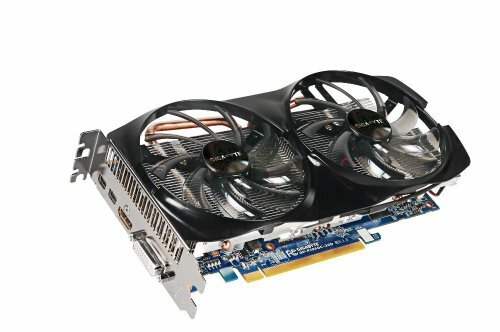 For the AMD option I would recommend the Gigabyte AMD Radeon HD 7850 at $169.99 new(can be found for less than $140 used). A hard drive has little actual impact on gaming performance, besides loading times, as such for this build we will be unable to include an SSD. However, as we can only fit 1 hard drive into the build, we will need to get a decent size hard drive, to store games, and maybe your movies, music and photos. 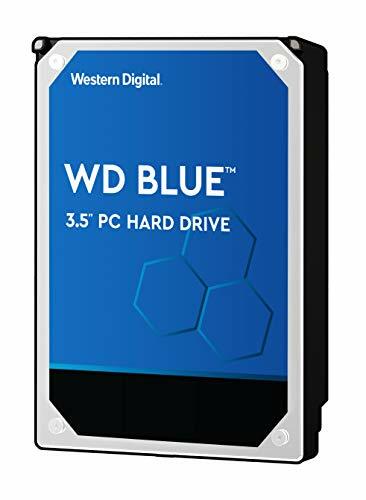 For this we are going to recommend the Western Digital 1 TB 3.5 inch hard drive. Coming in at $64.95 new this hard drive should be very reliable and provide enough storage space for the near future. If you want to upgrade your storage you can always add extra hard drives, and if you want to upgrade an SSD in the future you will be able to clone your OS onto the SSD and use the 1 tb drive for storage. It is never a good idea to cheap out on a power supply for a gaming PC. Furthermore investing in a high capacity PSU can save you money in the future, as you will not have to upgrade to a new PSU if your current one is not powerful enough to power future upgrades. As such, I want to go for a 600 watt bronze certified . While this might not be powerful enough to run a dual GPU setup, it should ensure you have enough power to run any high end GPU and multiple hard drives. We went for the Corsair CX600 at $57.99. 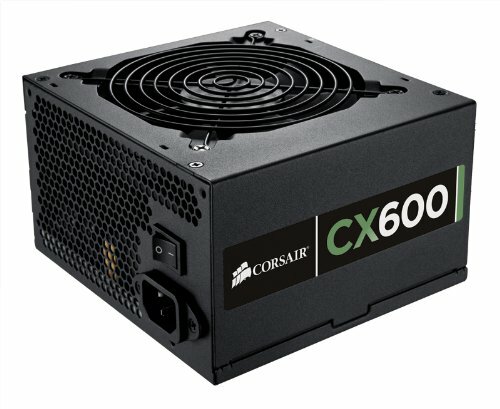 Corsair are known for their high quality power supplies and this PSU should last you well into the future. This is where your own preference really comes into play. Some people prefer cases will lots of curves, some people prefer cases with flashing lights, some people want to have a window on the side panel of their PC to show off their carefully selected parts, while some people just want to pack it away in a quiet simple looking case. My rules for choosing a PC case is to consider the following, it is big enough to house your parts, it has holes in the back plate for routing PC cables. It comes with at least 2 fans, 1 for sucking in air 1 for pushing air out. After that you should consider how many fans the case can support. Does the case have dust filers to prevent dust from entering the system? 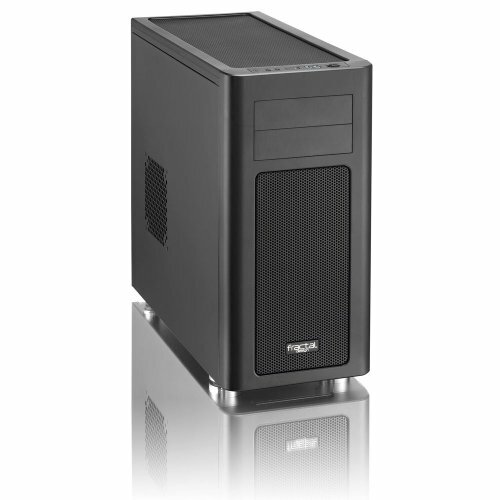 Can the case support radiators (not for budget builds, but maybe for future upgrades)? How easy is the case to build in? Does the case have built in USB3 ports? 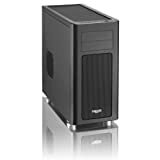 I’m going to cheat a little and go for a better quality case that will bring us $10 dollars over the $600 budget and choose the Fractal Design Arc Midi R2. This case is getting great reviews, due to the flexibility of it’s design, the quality of the materials used, the system for installing hard drives, and the fans included. Where could you spend extra? The graphics card you use offers the most bang for your buck when building a gaming PC. It is important that your processor doesn’t bottleneck your GPU, however the fx 6300 should be enough for all but the most powerful GPUS, if you have an extra $50 to spend I would recommend upgrading your GPU to a Asus GTX 660 at $209.99 or a ASUS DirectCU II HD7870. You could also upgrade your harddrive to a Western Digital Caviar Green 3 TB. This would give you enough storage for gaming for the foreseeable future. So where can you save money on this build? Well the first thing I would do is to check what components you may already have. Do you already have a PC case that you will be able to resuse? Do you have an old PC or laptop with a decent hard drive which can be reused? Does your old PC have RAM that is compatable with this buid? Anything you already have, you can reuse in this build. Also if you wanted to save a few extra bucks, you could save money by finding products from Amazon sellers who may be selling the particular components at a cheaper price. 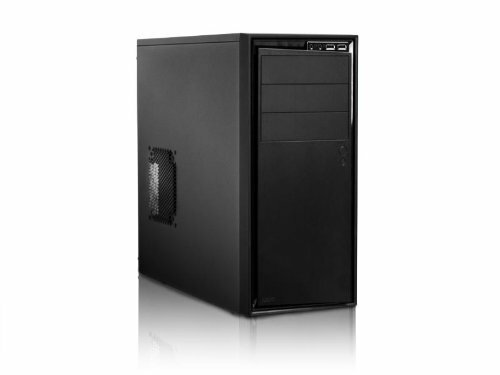 You could also save money on the case and go for a budget case such as the NZXT Source 210. Finally you could probably get away with a 4GB RAM stick to run your games. Well it depends, if you already have a copy of windows lying around, then this build will run windows well, and you can game on windows. However, this PC was build with Steam OS in mind. Steam OS will be a free operating as such you will not need to install windows to run it. While steam isn’t available yet, you will need a copy of windows to run games well. I would recommend windows 8 over windows 7, as the OS has been designed to boot much faster than windows 7 and in my experience is much snappier to use than windows 7. What do you think? 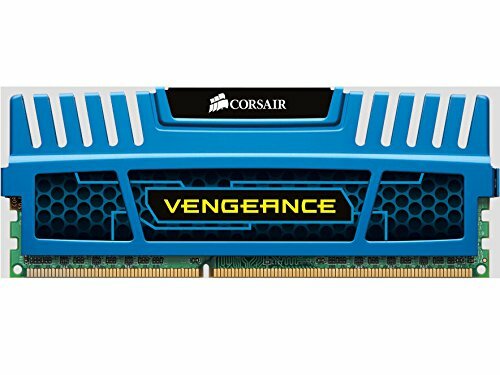 What would you change about this build? Would you consider building a system like this?